At one point in writer/director Nat Cassidy’s wise and moving new play Old Familiar Faces, a modern-day indie-theatre Shakespeare auteur exhorts his reluctant, Hollywood-bound partner about what “we’ll be remembered” for; a heartbeat and two centuries away, a Shakespearean adaptation artist (real life’s Charles Lamb, who collaborated on two illustrated volumes of the bard for kids in the 1800s) muses to his sister and co-writer Mary that the moment they are in will immediately be a memory, or soon not remembered at all, but that they will live their lives onward, fully, through each of them. The forever-famous siblings are not interested in a recorded life, while the present-day lovers are highly conscious of being watched though they are by definition anonymous (creations of Cassidy’s, even if their uneasy ego balance and hi-/lo-culture tension is loosely based on yet another century’s marriage between Laurence Olivier and Vivien Leigh). It is one of many counterpoints in a play whose characters fight through older references and outer impressions to embrace their truest selves. The Lambs found purpose in Shakespeare, and we see them take solace in sharing his words, over the course of a volatile homelife where they contend with each other’s mental illness (especially Mary’s, which once resulted in the stabbing death of their mother during an episode); “Oliver” and “Lee” displace the mismatching pieces of their emotions onto the perfect constructions of the Shakespeare scenes they work on. Still, talk is costly in this play, with verse being both couples’ refuge from the most painful thoughts they might express themselves. At one pivotal point Mary (a luminously shaded, humane and intrepid performance by Tandy Cronyn) implores her brother (a portrayal of astonishing wit and warmth by Sam Tsoutsouvas) to “use your own words,” and Oliver & Lee speak in terms of how they are each other’s “language,” the lens through which their worlds are defined. When the characters’ fogs of conflict and artifice clear, the play enacts some of the most tender connections and most honest and aware accounts of mental illness and disintegrating relationships I’ve ever seen, and across a gulf of personality and from either side of the chasm of their relationship’s lifeline, Lee (Marianne Miller) and Oliver (James Patrick Nelson) give soliloquies, on longing for a not-yet-lover who is filling her thoughts and the loss of a wife his life has gone silent without, that are as heartbreaking as anything in the theatrical canon. 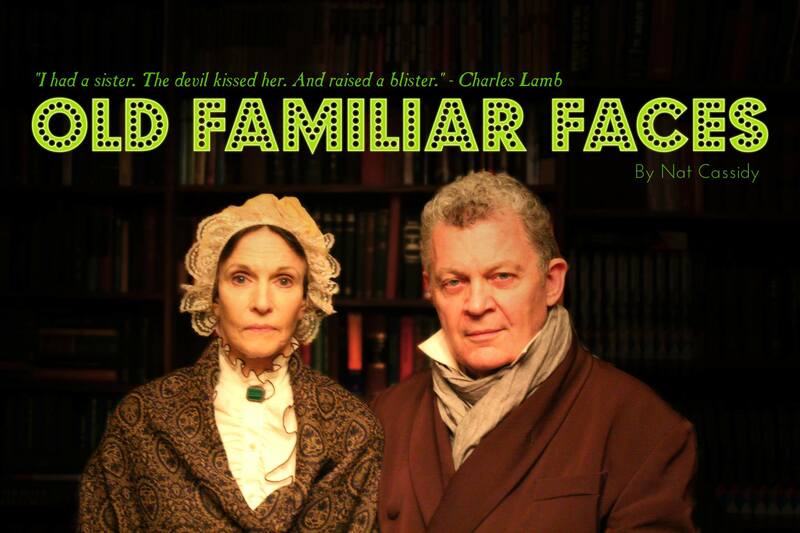 The play’s title, taken from a melancholy poem by Charles about departed family and friends claimed by death or just drifted away, is deceptive — the faces we think we know can be mysteries to us, including the one we look at in the mirror. And though the present-day lovers tell each other “we’ll always have the text,” there is no script to follow, no handbook left behind. Leaving us instead the scariest and greatest act of creation, to make ourselves something new. This entry was posted in talking cures, the personal histories, Uneasy Heads on August 12, 2013 by adammcgovern46.